Having bad credit doesn't mean you can't qualify for an unsecured credit card. Some banks will be glad to have your business, even if your credit reports are littered with delinquent payments, charge-offs, collection items and even bankruptcies.You'll pay through the nose for the privilege of being approved for the card, but the drawback could be worth it as you rebuild your credit. High-risk, unsecured credit cards can be used just like any other full-featured bank credit card, and shouldn't be confused with prepaid debit cards or even secured credit cards. Secured credit cards require you to place money in a savings account, where it is held as collateral for the card. The amount you have on deposit generally becomes your credit line. On the other hand, no savings deposit is needed for an unsecured card. High-risk, unsecured cards look like any other card and can be used for renting cars, booking hotel rooms and completing any other transactions requiring a bank credit card. Exorbitant fees are a major disadvantage of unsecured credit cards for people with bad credit. In July 2014, one issuer of the cards was requiring a $75 application fee and a $75 annual fee -- for a card whose initial credit line could be as low as $300. The application fee is refundable if you are declined. However, the fee-based strategy removes some of the risk for the banks. An up-front payment of $150 is half of a $300 credit line, which reduces the risk for the card company should you default. There are other fees as well, and all of them are much higher than fees charged on other credit cards. For example, you could be charged a small fee simply for speaking with customer service or an initial fee for accessing your account activity online. Not surprisingly, high-risk, unsecured credit cards have exorbitant interest rates. In July 2014, one bank was charging 23.99 percent. That sharply contrasts with credit card offers for people with good credit. Many banks were offering those borrowers free interest for a year, and then about 9.99 percent after that. Applying for high-risk unsecured cards is easy. You can find a listing of the cards at websites offering credit card comparisons (see Resources, check "Bad Credit" in the left side navigation after clicking to the site). You can apply online or can print a form and mail it in. 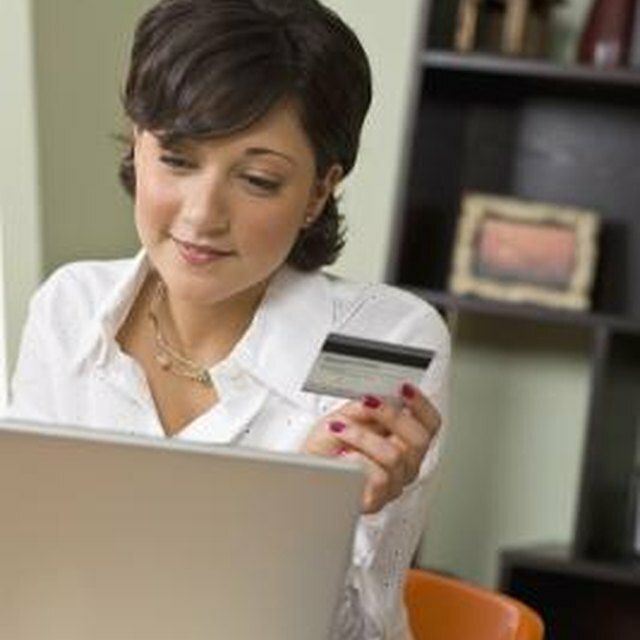 Secured credit cards usually offer much lower interest rates and lower fees. You'll have to place a minimum of $200 to $300 in a savings account as collateral, but over the course of a year you might pay out less money than you would with a high-risk, unsecured card. Some banks pay interest on your deposit and refund your money after a year of on-time payments. Your account will then be elevated to unsecured status.